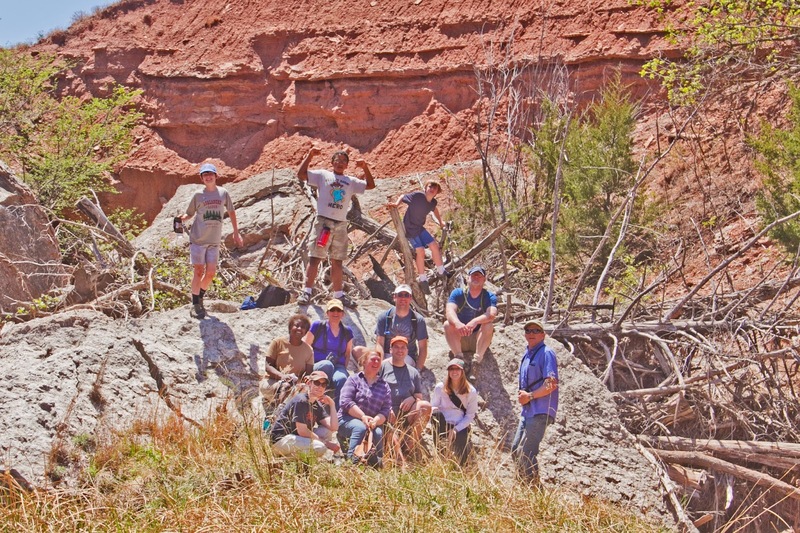 In a collaboration with Backwoods of Wichita (see contact information at the bottom), The Nature Conservancy in Kansas sponsored a prairie walk in the beautiful Red Hills this past Saturday. Hikers enjoyed a glorious spring day with the wildflowers, lizards, vultures and other wildlife that added to the walk. The end point was the famous Natural Bridge south of Sun City. This expanse of gypsum, collapsed in 1962, once spanned the Stewart's Creek canyon. Even without the iconic archway, the site is quite unique and picturesque. Rick Bodenhamer of Backwoods, organized the outing while yours truly led the adventure. Thanks to the generosity of the landowners who gave permission to enjoy their property for the day. 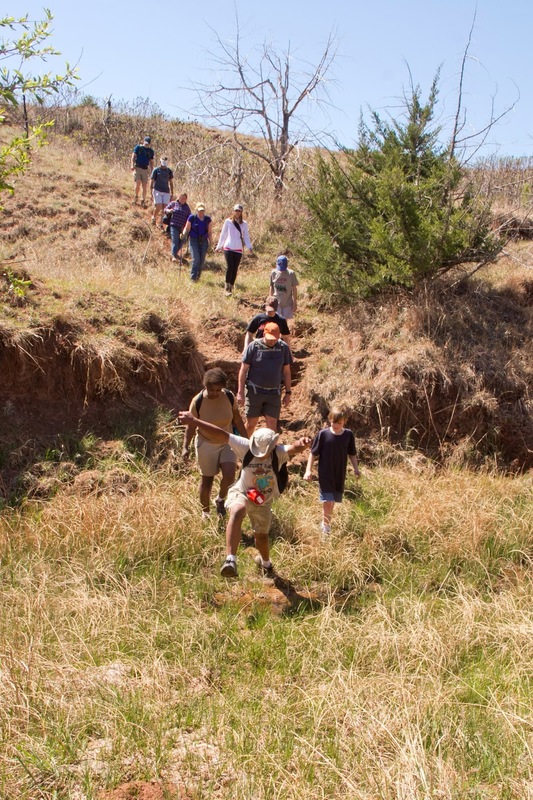 This prairie walk was one of several events planned this year as part of the Red Hills Initiative to help commemorate the 25th anniversary of TNC in Kansas. Hikers cross a small stream on the way to Natural Bridge. Blue Wildindigo was just one of the couple dozen wildflowers seen. 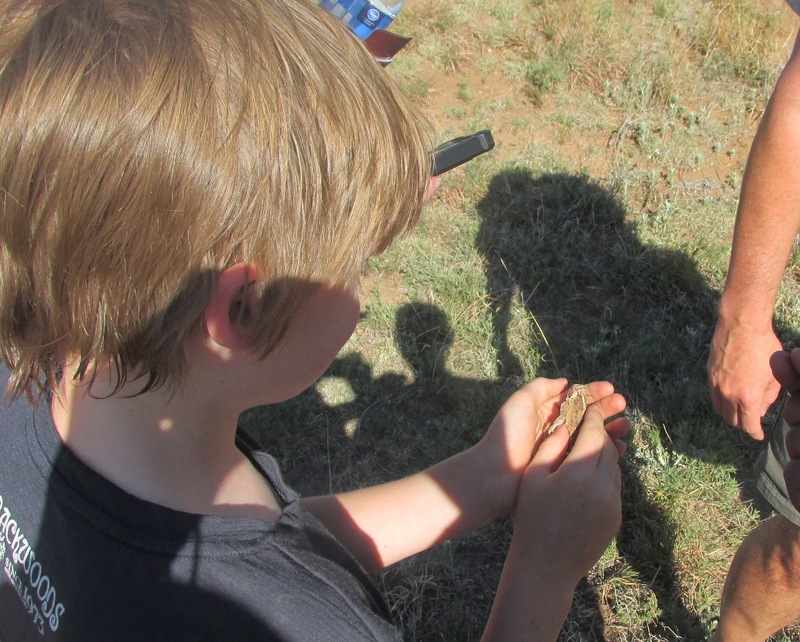 Jordon inspects a "horny toad" caught on the trip. 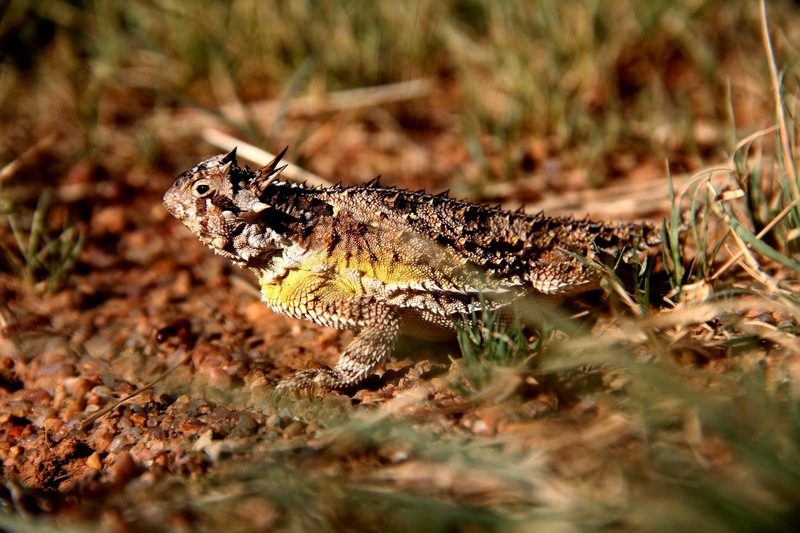 A Texas Horned Lizard is a fascinating member of the Red Hills fauna. 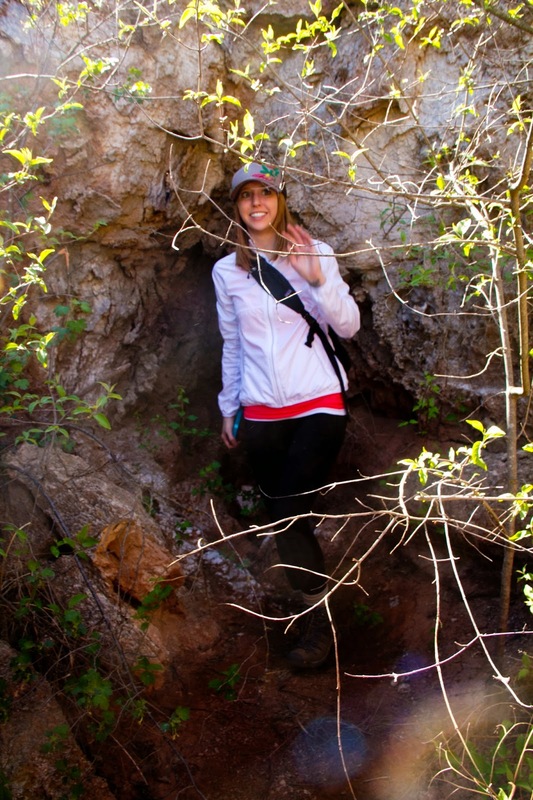 Christine exits a small arch/cave on the way. The hiking group enjoyed a snack at Natural Bridge on a beautiful day.